how to sew, cut in, remove wallpaper, stain floors, and say random things in danish. thank you for painting little lady bugs on the walls in my bedroom for me to find. and for always knowing what looks good on me. you're usually right. it's annoying. thank you for listening and always knowing the right thing to say. thank you for not teaching me how to cook. 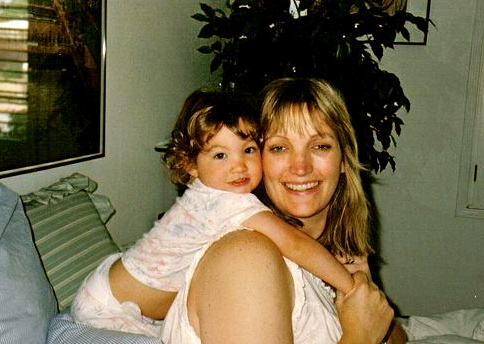 thank you for being who you are, and for being my mama! I love you, higher than the sky. First of all, that picture is absolutely precious! Secondly, great post! Mom's are so amazing, I don't know what I would do without the comfort and support of my mother. What's something your mother taught you how to say in Danish?